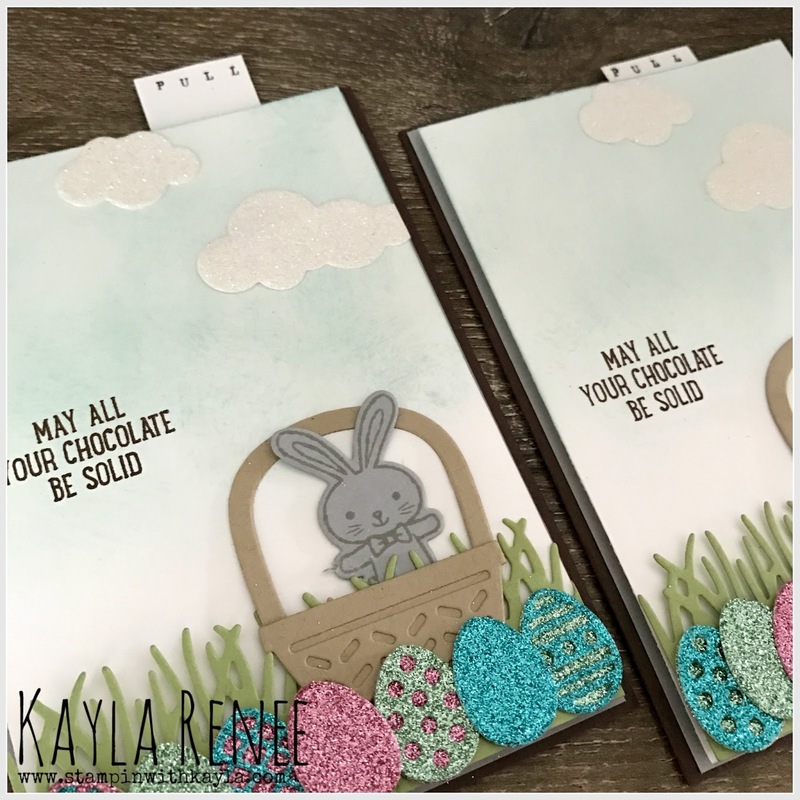 I can't BELIEVE I am blogging TWICE in one day, but I just had to come back and share these awesome cards before the weekend. I want to have full disclosure here. I may have a total stamping crush on Wendy Cranford. She is a lovely USA demonstrator that is very talented. I was having a look on her blog and stumbled by these cards she made and do you know what? I didn't even own the Basket Bunches stamp set!!! BUT these cards made me buy it! Seriously! So here we are, a total CASE (copy & share everything) but now I am so inspired to use this stamp set more and I can't wait to see what else I can make with it. 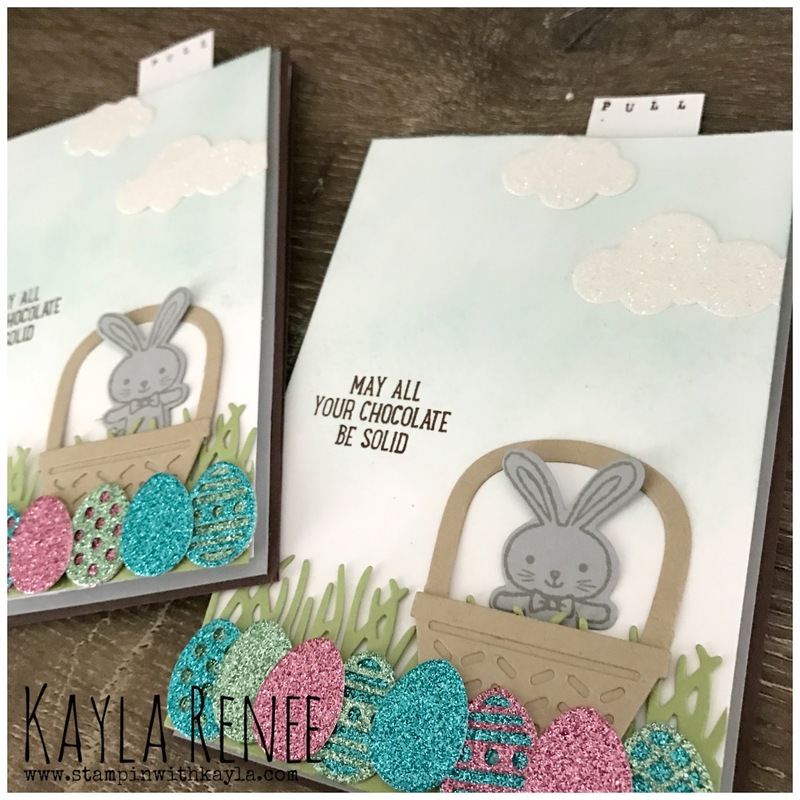 I have already given one of these cards to one of my beautiful customers with a little easter gift for an order she recently made and she loved it! Here is Wendy's gorgeous card and you can find her blog here. 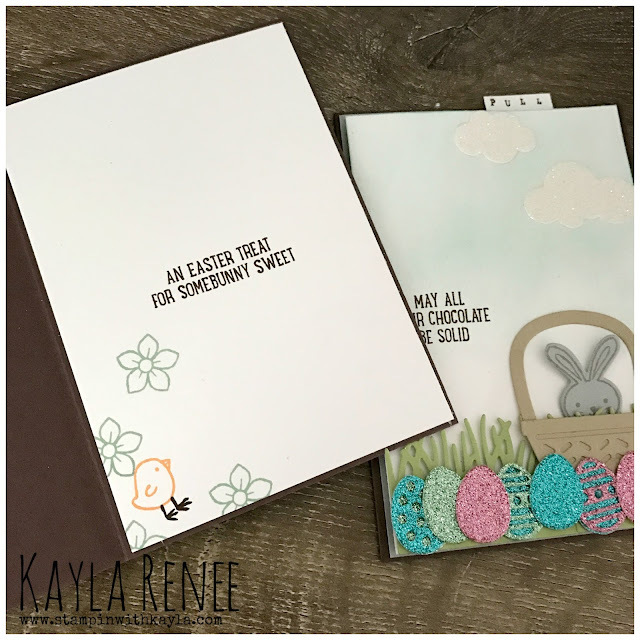 You can also find a video tutorial for this card on her blog in the direct blog post here. I added some clouds cut out of the Up & Away thinlets dies in the Dazzling diamonds glimmer paper. I loved the extra effect this gave. The lighting was pretty crappy when I took photos of these cards, so unfortunately they are looking a bit dark. I am wishing now that I had retaken them! Here's a look at the cards with the pulling mechanism pulled up so you can see the bunny pop out of the basket. In Wendy's example, she has coloured the little bow in pink, which in retrospect I really wish I had done. This bunny is stamped on Smoky Slate but of course you could stamp the bunny on white and colour him in with either inks or our fabulous watercolour pencils. 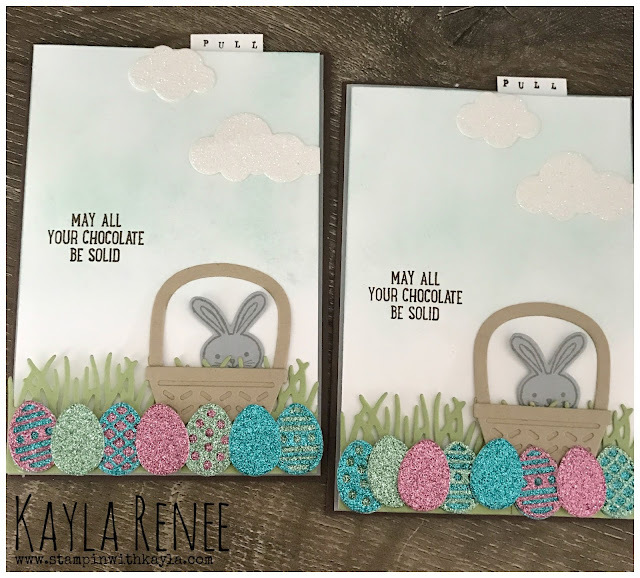 Here is a little look at the inside of the cards (it's the same on both) I really love to decorate the inside of my cards and it doesn't feel complete without it these days. I have followed on some colours by using the mint macaron (from the glimmer paper on the front) to stamp some gorgeous spring flowers and some peekaboo peach to stamp a little chick. I just love the funny little sentiment also. Here's another little close up. I am still getting handy with my sponging and applying a nice soft sponging technique. I am hoping to show some of my ladies in my classes this soon! I hope you have enjoyed a look at this card and I can't wait to show you more projects from this great bundle from the Stampin' Up Occasions catalogue.